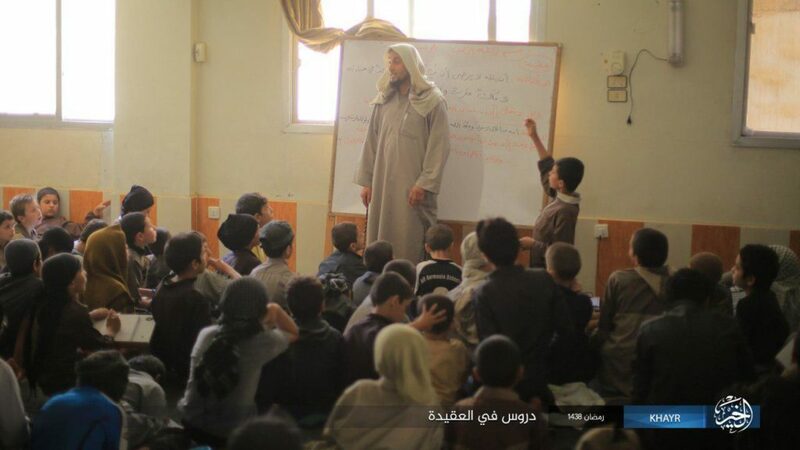 An Islamic State operative teaches a “Cubs of the Caliphate” class in Mayadin, Syria. The US-led coalition announced today that two more senior Islamic State leaders have been killed near Mayadin, a city on the Euphrates River in eastern Syria that has become a hub for the so-called caliphate’s leadership. The US has conducted a targeted campaign against the group’s leadership in the area since earlier this year. Both men were allegedly tied to the Islamic State’s “external” operations, meaning plots outside of Iraq and Syria. And they both perished in airstrikes on Sept. 4, according to Combined Joint Task Force – Operation Inherent Resolve (CJTF-OIR). Al-Shami was apparently an expert in concealing improvised explosive devices (IEDs), including in human corpses. In addition to implanting IEDs in dead bodies, a grim task, he supervised the jihadists’ rigging of “vehicles and buildings” with explosives. The jihadists hide their bombs in order to surprise “local forces and civilians” and “inflict terror, death and destruction,” CJTF-OIR noted. Although the US military didn’t provide many details in its announcement, it appears that Rehman was using his extensive engineering experience to help export the group’s modified drone technology. 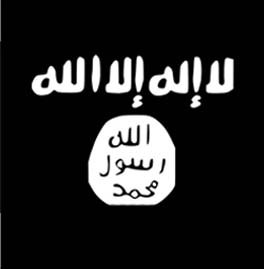 The Islamic State has become proficient at outfitting small drones with bombs. The jihadists have frequently employed this technology on the battlefield, including during their defenses of Mosul and Raqqa. It is possible that Abu Bakr al Baghdadi’s organization is seeking to export its expertise with small drones, as well as other improvised weapons of war. 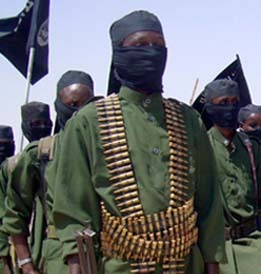 Rehman was killed south of Mayadin, in the village of al-Ashara, according to CJTF-OIR. Mayadin is located in the Syrian province of Deir Ezzor. Bashar al Assad’s regime, backed by Iran and Russia, claims to have made significant gains in the city of Deir Ezzor in recent days. 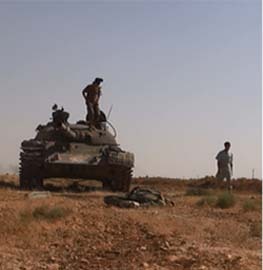 Namely, they broke the Islamic State’s siege of regime-controlled positions. The siege was first imposed in 2014, with the Assad regime and the Sunni jihadists frequently clashing in Deir Ezzor since then. As Assad’s loyalists and allied forces press into Deir Ezzor, the US-led coalition has continued its campaign of targeted airstrikes against the Islamic State’s key leaders, many of whom are stationed a short distance from the city. The US military has now identified at least fourteen Islamic State figures killed in Mayadin or the surrounding area since April of this year. 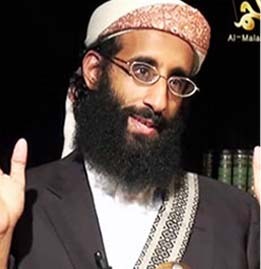 In addition to Abu Anas al-Shami and Junaid ur Rehman, the US previously announced the deaths of twelve other noteworthy jihadists in the vicinity. The deceased jihadists include one of Baghdadi’s most senior lieutenants and a key ideologue, as well as Islamic State propagandists and external operations planners. As the brief biographies for these men show, senior personnel often play more than one role in the organization. On Apr. 6, a “close associate” of Abu Bakr al Baghdadi known as Abdurakhmon Uzbeki (seen on the right) was killed in a special operations raid near Mayadin. The US said Uzbeki “played a key role” in the group’s “external terror attack plotting” and linked him to the New Year’s massacre at the Reina nightclub in Istanbul, Turkey. Then, on Apr. 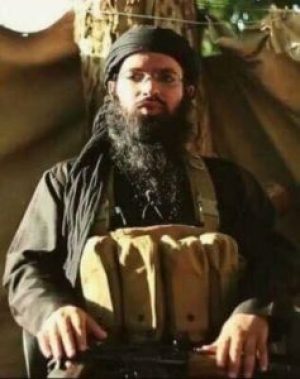 16, the US-led coalition killed Abu Ali al-Janubi in an airstrike inside Mayadin. US Central Command (CENTCOM) described al-Janubi as a “senior media director” for the so-called caliphate. Sometime between May 25 and 27, Rayaan Meshaal, the founder of the Islamic State’s Amaq News Agency (seen on the right), met his fate near Mayadin. CENTCOM said he was killed an airstrike. Amaq has been one of the group’s most important propaganda arms, collecting and disseminating news from jihadi hotspots around the globe. Meshaal’s media outfit packages videos, images and statements with a common branding, thereby emphasizing the idea that Abu Bakr al Baghdadi’s loyalists are fighting for the same cause everywhere from West Africa to Southeast Asia. Amaq has also played a central role in claiming responsibility for attacks carried out by Islamic State members and supporters in the West. Muhaxheri was a prolific user of social media, but his accounts were frequently suspended. 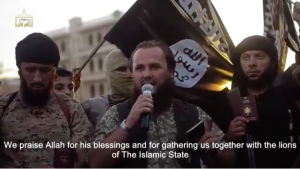 He also appeared in Islamic State propaganda, extolling the supposed virtues of Baghdadi’s caliphate. Muhaxheri (seen on the right) was designated as a terrorist by the US State Department in Sept. 2014. Foggy Bottom noted at the time that Muhaxheri “made international headlines in July 2014 after uploading to Facebook graphic photos of himself beheading a young man.” Some of Muhaxheri’s plots abroad proved to be busts. He was “responsible for planning numerous terrorist attacks, including the failed plot to bomb the 2016 Israel-Albania soccer match in Albania,” the US military said when announcing his death. 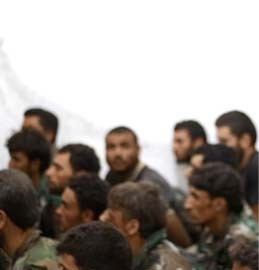 Muhaxheri’s fellow operatives were located throughout Syria. One of his deputies, Irfan Hafiqi, perished in a June 7 airstrike near Qayira. 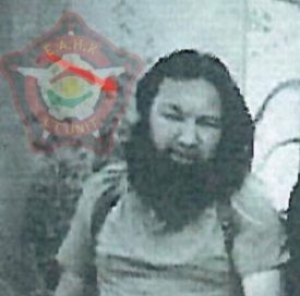 Like Muhaxheri, Hafiqi was an “ethnic Albanian” and “involved in plotting terror attacks abroad.” The US confirmed the deaths of several other of Muhaxheri’s “senior ISIS associates,” including Jetmir Ismaili, “an ISIS external terror attack planner” who “had key connections with ISIS external terror attack planners in Europe and Syria, and personally planned and coordinated external ISIS terror attacks.” Ismaili was killed in an airstrike in Raqqa in late June. 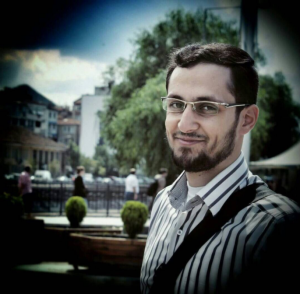 Another “ISIS external terror attack coordinator,” Razim Kastrati, was “killed along with five other ISIS fighters” in an airstrike near Mayadin on June 16. Kastrati “moved and trained foreign fighters from southeast Europe to Syria and was involved in plotting external attacks,” the US military said. Mayadin is not the only remaining hotspot for the Islamic State’s leadership. 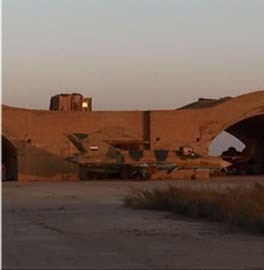 The US-led air campaign has targeted personnel in other locations along the border of Iraq and Syria in recent months, including in Al-Qaim, Abu Kamal and elsewhere in Deir Ezzor province. But it is clear that Mayadin has emerged as one of the most important locales in the self-declared caliphate’s shrinking territory. In addition to senior personnel, the US has repeatedly targeted the Islamic State’s oil trucks and wells near the city. Note: This article was updated since its original publication. Information regarding four additional Islamic State operatives killed in or near Mayadin was added. The names of the Islamic State figures were formatted in bold and one sentence was added to the end of the article. How do we know so much detail about these characters? Makes me wonder who has being paying, training and shielding them?